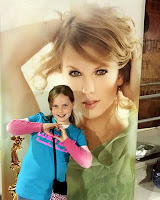 I met my hubby after my last signing, nabbed my daughter and off we went to see TAYLOR SWIFT!!! 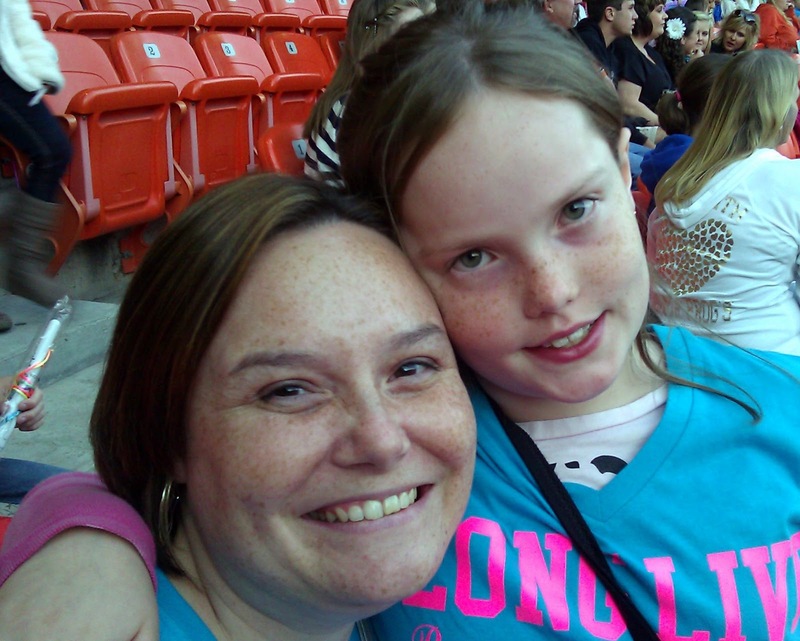 It was our very first concert. What a fun thing to share together as a mother-daughter team. 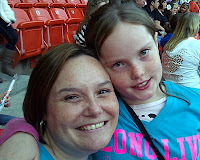 The concert itself was worth every single cent we paid for the tickets at Arrowhead Stadium. There were tons of fireworks, a snow storm, acrobats, dancers, and a flying balcony, just to mention a few of the cool extreme factors during the performance.Taylor's Sparks Fly video highlights the live concert. Isn't it awesome? One of the best parts was being in a stadium with 50,000 other people who all sang every single word to every single song Taylor Swift performed. The energy was incredible! We had aisle seats, so we had extra room to dance. And man did we ever dance. And yell, scream, and chant! We were on our feet for the whole two hour concert - dancing and singing together. I had t-shirts made for MJ and I just for the concert. On the front it says "LONG LIVE - Remember This Moment" which is from our favorite Taylor Swift song, Long Live. This is definitely one of those mother-daughter moments I'll cherish forever, just for all the fun and laughter we shared. Thanks for writing such incredible songs, Taylor! Before I log off for the day, I want to announce the winner of the Butterscotch Necklace. Thanks to Random.org for choosing the winner, which was #21 . . . Please email me your snail mail info and I'll get the necklace out to you! It was so great to meet you at the Far West Book Signing. So fun! 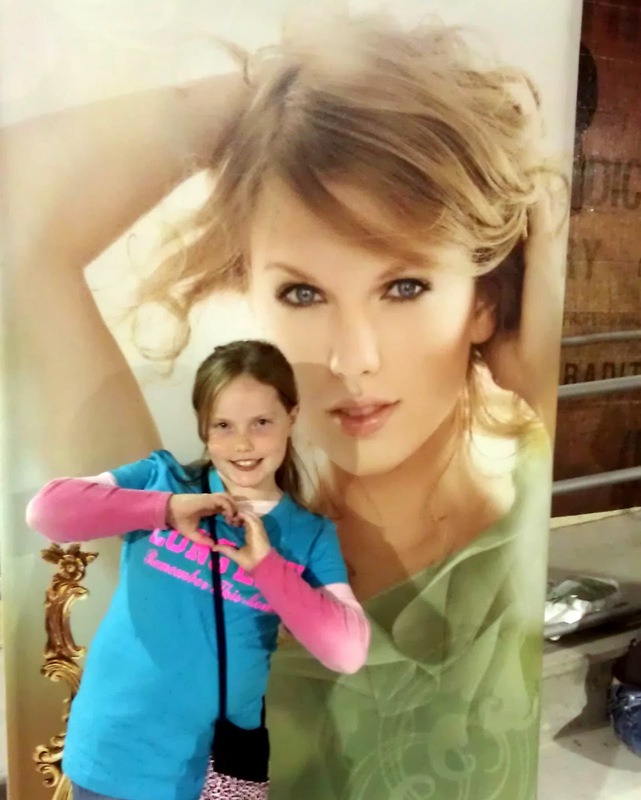 My daughter would have loved that too :) She is a huge Taylor Swift fan. September Blog Hop = Fun Prizes!